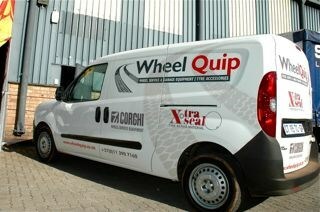 Wheelquip opened a brand new dedicated demo and display feature at their Jet Park offices on the 18th and 19th of June. 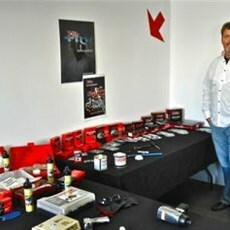 Jacque Coertze and Nic Kruger were looking very pleased with the reaction, and number of visitors they had arrive to see their range of wheel and tyre equipment. 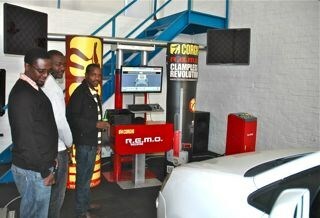 The main attraction on display was the latest Corghi R.E.M.O. 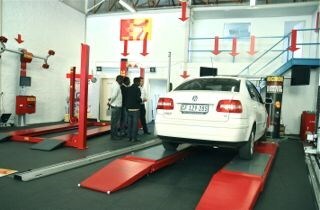 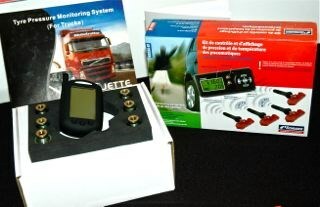 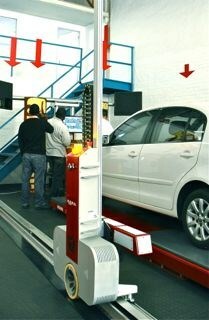 touchless robotic wheel alignment system, on display for the first time in SA after it’s recent worldwide launch. 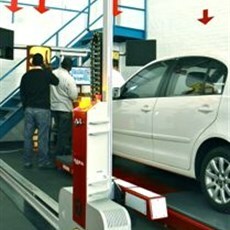 It is the compact version of Corghi’s advanced system which uses a mobile robotic sensor to measure the wheel alignment, without the attachment of any target or sensor onto the vehicle rim or wheel. 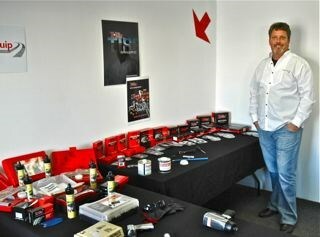 Also on display was their widened range of aligners, balancers, changers and repair equipment consumables. 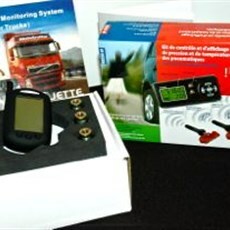 “Our customers really enjoy seeing the whole setup that they need in a live environment” says Coertze, “We actually outfitted an entire shop from a walk-in customer yesterday”. 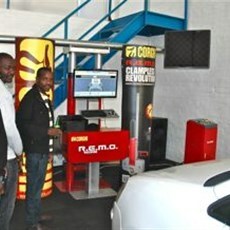 While I was having a tour of the new facility, which effectively doubles the Johannesburg branch’s floor space, a group of businessmen from Zambia arrived to meet the team and collect information for shops that they need outfitted. 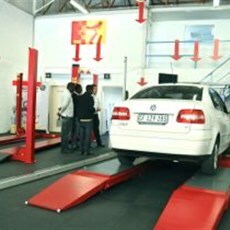 “We have always considered the personal touch part of our business” commented Kruger continuing to say “the quality of the brands and products we distribute speaks for themselves, but this business is equally about relationships of trust in the distribution team, and their ability to continue to service clients after the sale”. 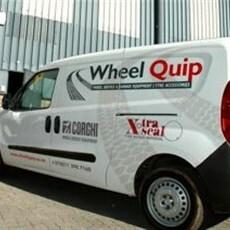 Also on display was a wide range of consumables and repair equipment, as well as new lines which Wheelquip believe can add value to their clients ability to service customers better. 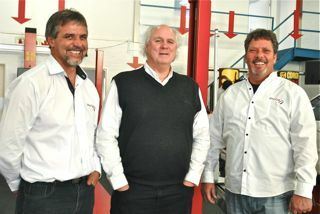 This included their full tool range and new tyre pressure monitoring systems for commercial and passenger vehicles, which they will be introducing to the market in the coming months.